Once again we kicked off the new year with CES and our team was on the ground to determine what has potential and what was all hype. 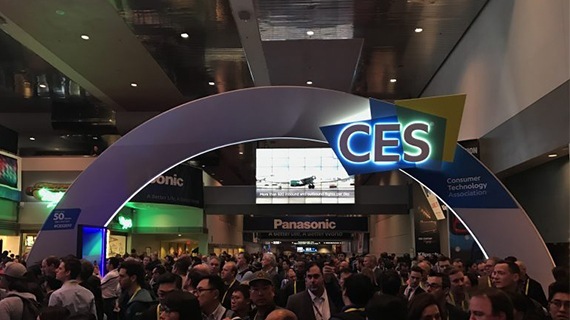 50 years ago, at the first-ever CES, attendees experienced 150,000 square feet of space crowded with 100+ exhibitors and witnessed the electronics giants show off new audio tape recorders and transistorized color TVs. This year, over 3,800 presenting companies, spreading across 2.6+ million square feet of exhibit space, came together to present drool-worthy inventions and offer sneak peeks of what’s around the corner. However, as you walked the floors and took in everything from 3D printers to wireless products, you would not be remiss if you thought it was still 2016. While there were more flat-panel TVs, self-driving vehicles and VR headsets, ultimately, they were just flatter, more autonomous and more immersive. That said, this year, the breakout trend was not a new technology, but rather the converging of AI, AR/VR and IoT technologies to serve the consumer better. Here is all you need to know coming out of CES.